Premises liability claims often arise because a property owner breached their duty of care. If this breach is the proximate cause of harm to a visitor, then the property owner may be responsible for a premises liability claim. That being said, a property owner’s required duty of care can change based on the type of visitor in question. Under Maryland personal injury law, there are typically four different types of visitors for the purposes of premises liability claims — Invitees, Licensees, Bare Licensees and Trespassers. Invitees are visitors who have an implicit or explicit invitation to enter a property. One common example of an invitee is a customer who visits an open business, such as a grocery store or pharmacy. Another common example of an invitee is a person who visits a park or other facility open to the public. Property owners must exercise “reasonable and ordinary care” when accommodating invitees. Furthermore, property owners must alert invitees of any dangerous conditions on the property, especially conditions that would be difficult to uncover otherwise. 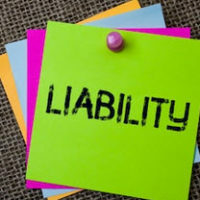 If the property owner does not act with reasonable or ordinary care — and an invitee suffers harm as a proximate result — then a premises liability claim could be appropriate. Licensees are visitors who are normally guests of the property owner. Licensees generally have an explicit invitation to enter the property. The most common example of a licensee is a friend or family member who comes over for dinner. Property owners must exercise “reasonable care” when accommodating licensees. Additionally, property owners must warn licensees of latent dangers on the property, particularly dangers that could be tough to notice and avoid. If the property owner does not act with reasonable care — and a licensee is injured as a direct result — then the owner may face a premises liability claim. Bare licensees are visitors who are present for their own personal gain. Bare licensees have an explicit invitation to enter the premises, with specific limitations. A common example of a bare licensee is a door-to-door salesperson who gains entry only to complete their sales pitch. Bare licensees do not enjoy a heightened duty of care from property owners. Though property owners must not engage in “willful or wanton misconduct” with regard to bare licensees. And as with invitees and licensees, property owners must warn bare licensees of any known dangers on the property. Trespassers intentionally enter a property without authorization from the owner. A common example of a trespasser is a burglar who breaks into another person’s home. Property owners do not owe any duty of care to trespassers. Though as with bare licensees, property owners must not engage in “willful or wanton misconduct” with regard to trespassers. If you are considering a premises liability claim against a Maryland property owner, it can be extremely beneficial to speak with a proficient personal injury attorney. The attorneys at Iamele & Iamele, LLP in Baltimore, Maryland, have proven success in the field of personal injury law, including premises liability. If you need legal help, contact us today for a free initial consultation.